First Impressions are crafted after spending a few hours with a game, but not completing it. There is no review score provided as it wouldn’t be appropriate before seeing everything the game is offering. No spoilers occur, please do the same in the comments. 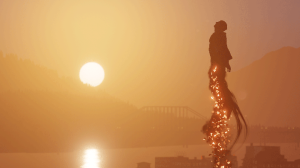 If Infamous: Second Son setup a dating profile, there would be gorgeous pictures (millions of them), a robust list of activities and playful one-liners in the comments section. Unfortunately, it would be missing a description of who they are, what they look for in a friend or any semblance of what they want to do in the future. Second Son is an amazing game to watch, play and explore the city in; but features a generic protagonist, flimsy story and cast that only exist to create visually spectacular moments. Which there is a plethora of. Delsin Rowe is a directionless youth, more apt to cause trouble than be a contributing member to the tribe like his brother Reggie. When Conduits (basically the X-men) arrive, Delsin and Reggie must put aside their differences for the greater good. 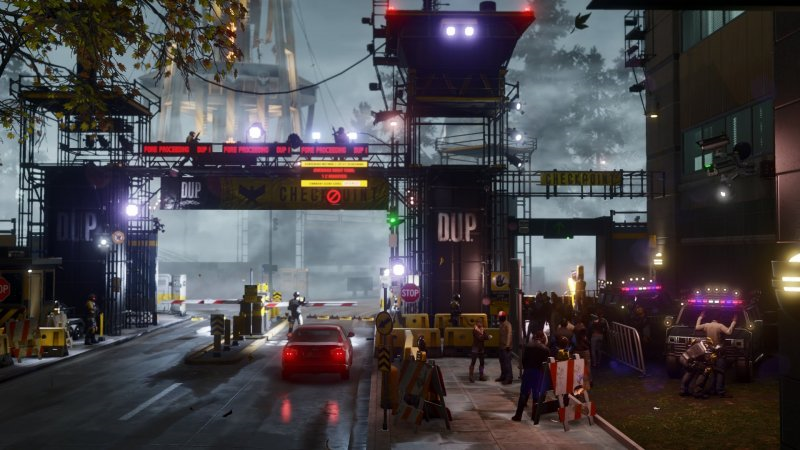 Players control Delsin, as he discovers new powers, parkours around Seattle, collects blast shards to level up, defeats the Department of Unified Protection (DUP) and complete numerous sidequests. Through it all, Delsin shouts one-liners and has to choose if he wants to be a hero or a villain. This is truly a next-gen game that could not be captured on previous consoles. Screenshots capture some of the magnificence of the world, but it is truly appreciated in motion. Delsin’s first power, smoke, showcases embers and a mist trail in every animation. There are a lot of particle effects, individual assets and elemental variety on the screen. That is just Delsin. The environments are populated with destructible objects, gawking civilians and varied enemies. The lighting in the world create a different feel for the city as it transitions from dawn, to day, to dusk and night. There are noticeable differences in each section of town, from business high rises, to the art district to the residential areas. Open world games can appear empty sometimes, but Seattle feels truly alive and looks spectacular the entire time. This game will boost tourism in the area like Lord of the Rings did for New Zealand. Exploring the city has never been easier. Delsin’s abilities turn scaling a building from a series of jumps on ledges into a sky rocket maneuver to the top. 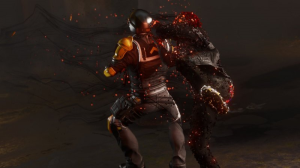 This is a consistent theme throughout Second Son. All of the powers, upgrades and situations are designed to make Delsin feel powerful. Players are constantly provided the necessary blast shards (scattered throughout the city) to upgrade abilities and discover new skills. The game is rewarding gamers with new options unlocked around every corner. Delsin starts off with a small smoke meter that will run out in battle. After only a few missions, he will have a double sized meter that generates energy and never worry about charging mid-battle. And this is just one of four unlockable powers within the game. Outside of story, is a large cityscape to explore, and side missions galore. The map is divided into quadrants which detail how many collectables and quests are available. There is no need to run around in circles to find a quest or meticulously comb the city for shards (damn you Infamous one). The side missions include Delsin using his trademark graffiti skills, finding hidden audio files, discovering secret agents, liberating the city, or taking out annoying street musicians. 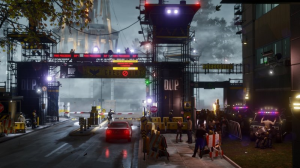 Completing an entire section will reward players with a fast travel option and a new jacket for Delsin (typically, his default it still the best though). The same approach to streamlining traversal and bombarding players with new powers is also taken with the story. This tale moves at a lightning fast pace and doesn’t stop to develop characters. Delsin is good (even when playing the ‘evil’ choices) and DUP is bad. There is not much else you need to know. Characters are introduced for the sole purpose of either providing Delsin a new power or something to fight. Delsin isn’t a likeable character or compelling. He is a rebel without a cause…but does have a cause right from the game’s opening. He is dismissive of his brother’s advice, even as he takes it, and makes the most top level remarks regarding the situation. His constant stream of banter never adds anything to the situation and mostly makes him come off like a tool. Previous Infamous games had a twist in the narrative to help push the story forward; it’s possible that I have not hit that point yet. 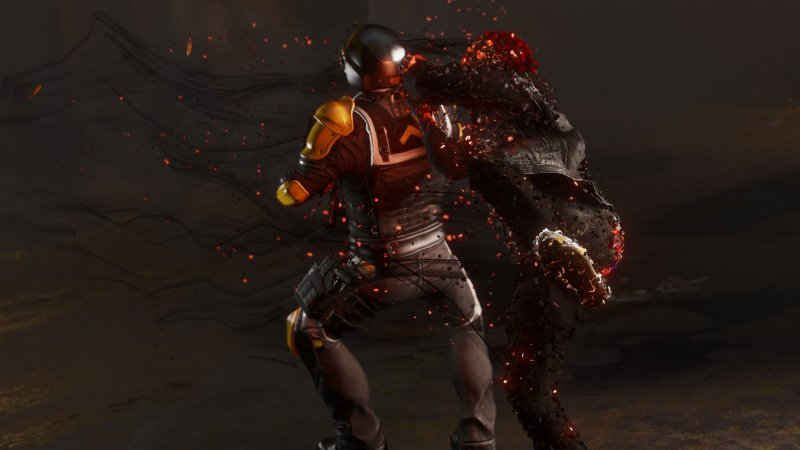 While reviewing Second Son’s hypothetical dating profile—Gorgeous, fun to play with and containing a lot of features that make this is an enjoyable time are strengths. It provides players with new toys to unlock and experiment with, as well as varied side missions. The story appears shallow and Delsin is an attractive option, until he opens his mouth. Running around the open world is better than the story missions which involve the excitement of taking photos on a cell phone. If you enjoy well polished gameplay with impressive visuals than you should be compatible with Second Son. If you prefer a deep narrative or dynamic characters, than you might want to pass on this date. A straightforward platinum is available to players who complete the game twice; once as a hero and again as a villain. Most of the trophies are story driven or earned by completing sidequests. All of the missions are easily identifiable and can be completed in tandem with the main story or after clearing the final boss. There are a couple situational trophies, such as dash through two smokestacks and comet drop on an enemy, which players will have to try for a couple times, but nothing impossible. The largest barrier to completion will be completing every side mission and collecting each blast shard. These can be tedious after the thirteenth time players shake the controller to mimic a spray can for a tagging mini-game. There is a trophy for beating the game on expert, but this shouldn’t be too difficult after mastering the gameplay on the first playthrough. It is recommended to just run through the story and not waste time with potentially frustrating side missions on the higher difficulty.